Need File Recovery or Hard Drive Data Recovery software? Recover My Files is tested by the Department of Homeland Security. See validation reports here. Recover My Files - Try it free and see your deleted files! Learn how to recover your files here. 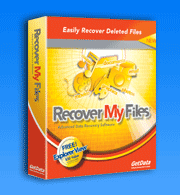 Download and try Recover My Files software Free! Recover My Files is compatible with Windows 7, 8 and 10 and works with FAT 12, FAT 16, FAT 32, NTFS, NTFS5, HFS and HFS+ (MAC) file-systems. 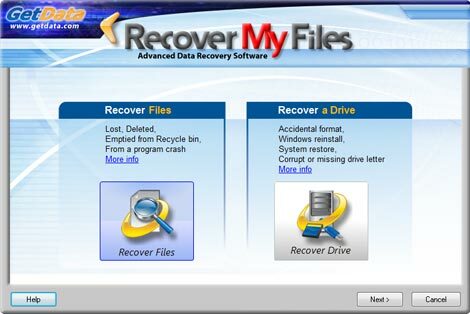 Recover My Files goes deeper than any other data recovery software in an effort to find the files you’ve lost. You would think that this dedication to finding lost files would make this software more difficult to use, but that’s not the case with Recover My Files. It’s refreshingly easy to use because the program does all of the work for you. All you have to do is point and click. You couldn’t ask for more in your choice data recovery program. Recover My Files is fast and easy. No technical or data recovery software skills are required to undelete files. Use Recover My Files to perform hard drive data recovery, or if you are trying to unformat and recover data from floppy disk, zip drive, smart media, compact flash or other removable media. It is easy disk recovery software to undelete files and get data back. Do not waste time and money on other software wondering if you can recover deleted files. Download and try Recover My Files undelete software free. Scan your drive and view your deleted files. If you can see your deleted files then data recovery is quick and easy. My desktop computer recently crashed. My wife and I thought we had lost nearly 500MB of data, including document files and the pictures of our son's first 2 years of life. We went on a frantic search to find a disk recovery company that could undelete files from the hard drive. We found a data recovery service company that would help, but they gave us a quote of $3500 to unformat the drive. Then, I found your software! To my absolute delight, "Recover My Files" did exactly as you advertised: it recovered all of my files, including the pictures of our son's first two years! It saved our family over $3400! Thanks! With a deleted file the data content of the file is rarely destroyed. Even if Windows file reference information has been destroyed, Recover My Files scans the data at a low level to locate "Lost Files" by their internal file structure. This allows Recover My Files to recover deleted files that other data recovery software can never know exist. Read frequently asked questions about data recovery. "Reasonably priced product that works!" Our computer crashed and we were told by Dell that we had lost our data. We even took the system to a data recovery service and after 5 days they told us that they could not undelete the data. We could see that there were 75GB of information in an unassigned partition of the hard drive but couldn't get to it. I found Recover My Files and gave it a try, since we felt we had nothing to lose. We ran it last night and this morning ALL of my files WITH file names are intact! I had 4 years worth of photos of my girls on this hard drive and I am so thankful. I have already recommended your product to others. Thanks for making a reasonably priced disk recovery product that works and you can use at home. As a registered user you are entitled to free data recovery software updates (up to the release of the next major version) and data recovery support. If you are looking for a Recover My Files crack, torrent, serial, portable or keygen, then please use this link. If anyone is doubting this software may work then don't! After patiently waiting for the program to retrieve our files, we are happy to say that 99.9% of them are perfect. My only regret is that we did not come across this wonderful program many years ago. We do not generally advertise other programs however here we make an exception. From time to time we all find ourselves without a backup after we have installed a new OS over our files. We have just found out that they are not lost even after re-installing windows XP. "Thank you for this wonderful product! I recovered my precious pics form Disney and my daughters birthday. It was worth every penny to me". Download and try Recover My Files now. 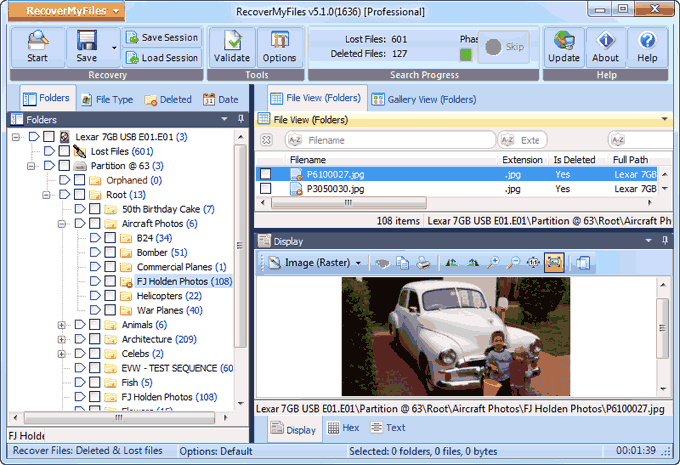 Check the Recover My Files search results screen and use the preview feature to display the file that you are trying to recover. If you find what you are looking for, then purchase a product activation key to save your recovered files to another drive.